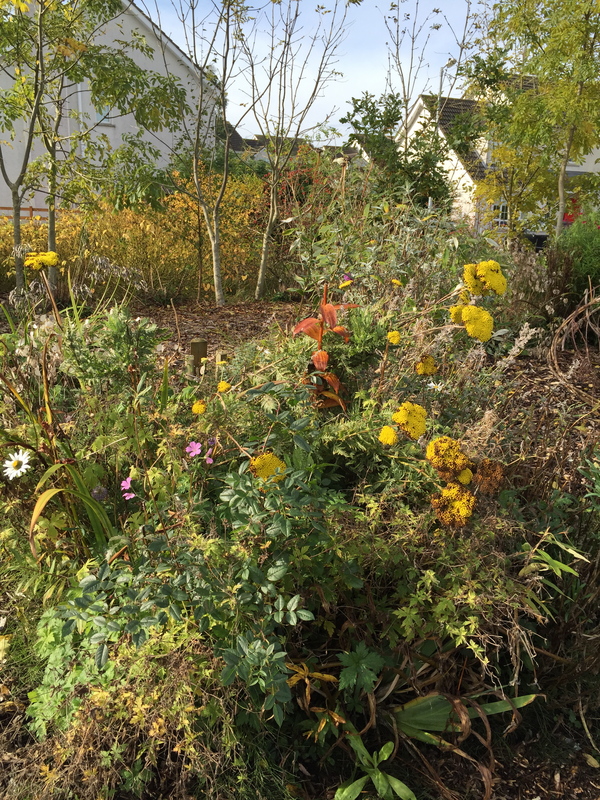 Mutual Ground is the title of a project offering mentoring to members of Louth Tidy Towns Together, interested in learning about community biodiversity gardens. To mark the European Year of Citizens, social activism and active citizenship will be prominent themes within Mutual Ground’s agenda. Mutual Ground encourages communities to explore local distinctiveness, and to develop local democratic involvement. 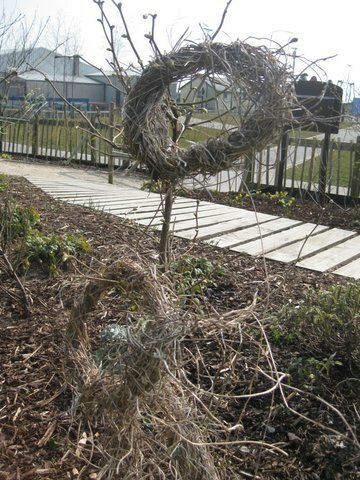 It is inspired by the UK charity Common Ground (www.commonground.org.uk), which underlines the importance of environmental celebrations as a means of improving local pride and community participation. 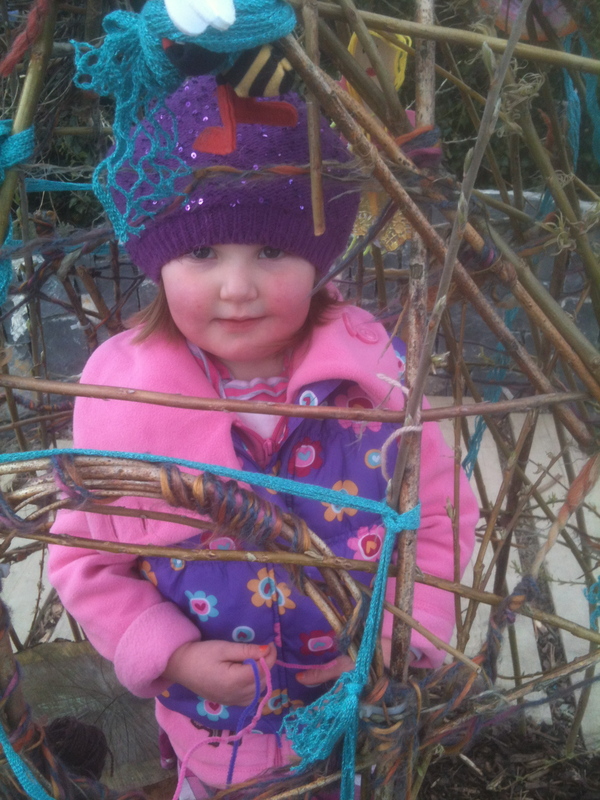 To celebrate this year’s theme for National Tree Week (A Feast of Trees), the forest garden at Blackrock Playgound in County Louth will be profiled as part of Mutual Ground’s activities. 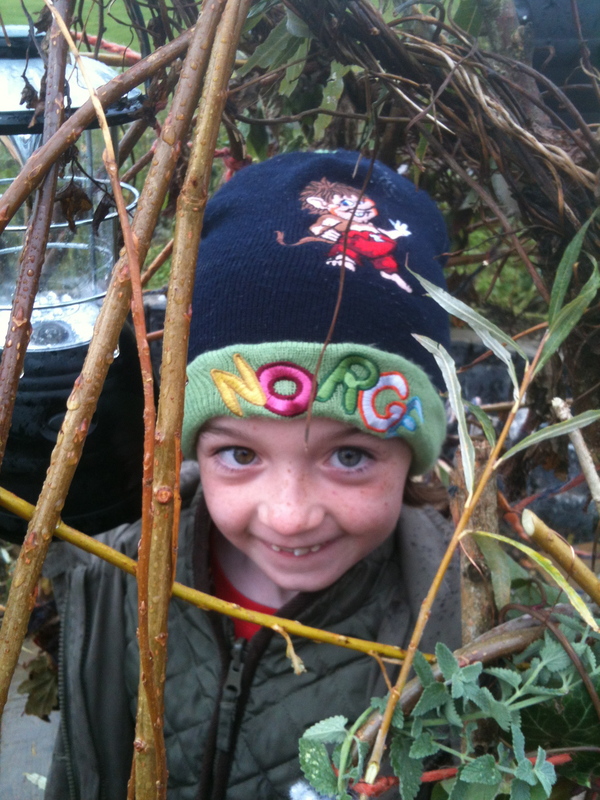 A new school forest garden at Dromiskin National School is also being developed to further explore the benefits of cultivating naturescapes within school grounds. 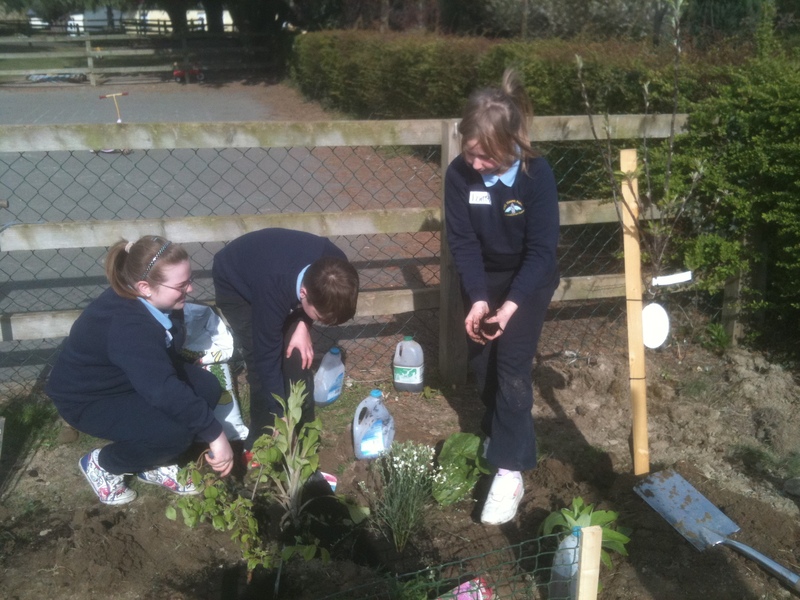 The Louth Tidy Towns Together website http://www.louthtidytownstogether.com includes a training journal called Mutual Ground, with topics covering biodiversity gardening, special events, and green schools. 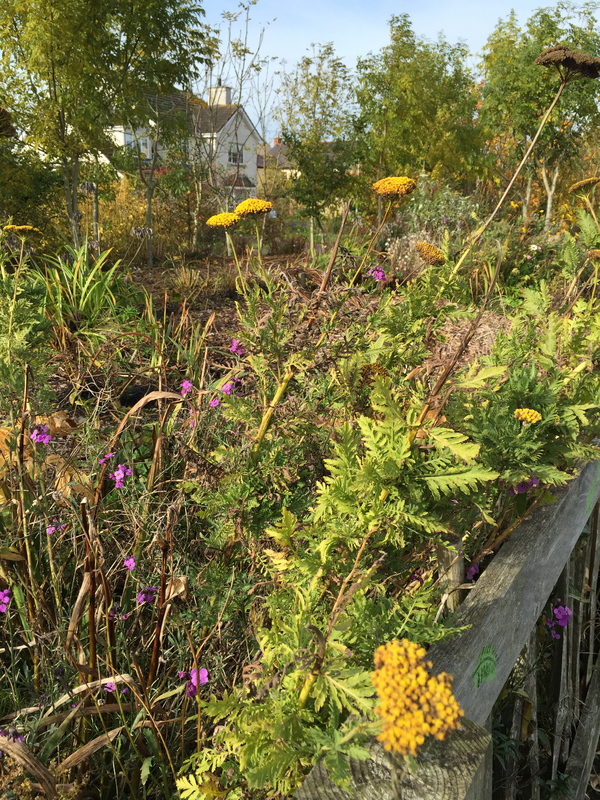 Biodiversity can be created through gardens which include wildflowers, native plants and trees. These gardens are also potential gathering places for intergenerational events, and the marking of important environmental dates (i.e. Earth Day, World Environment Day, Biodiversity Week, etc.). 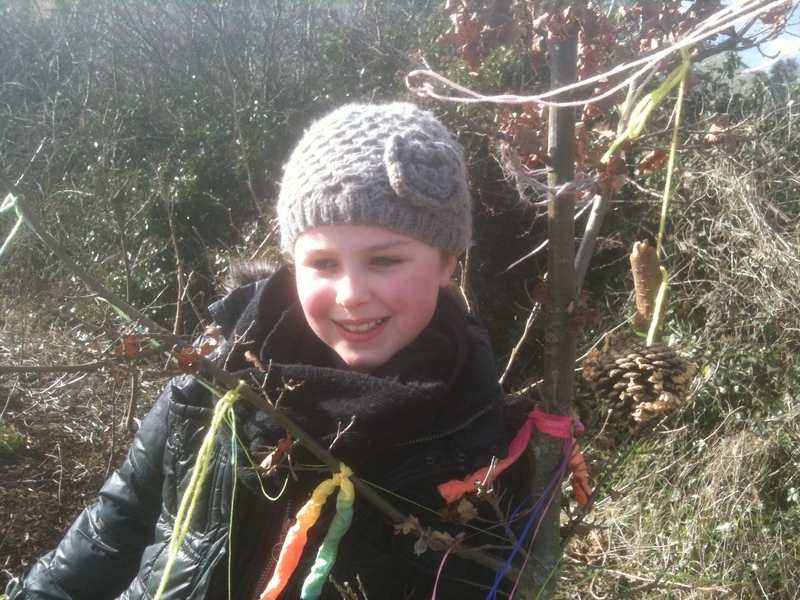 Biodiversity incorporates people into local networks for nature. Gardening for nature is a means of improving not only the ecology of a community, it also helps to shape the character of the social landscape. Creating interactive social spaces, rooted in cultivating native plants and trees, inspires a true collaboration between people and the natural world. A community garden celebration is a way of promoting environmental education and encourages Tidy Town volunteerism. 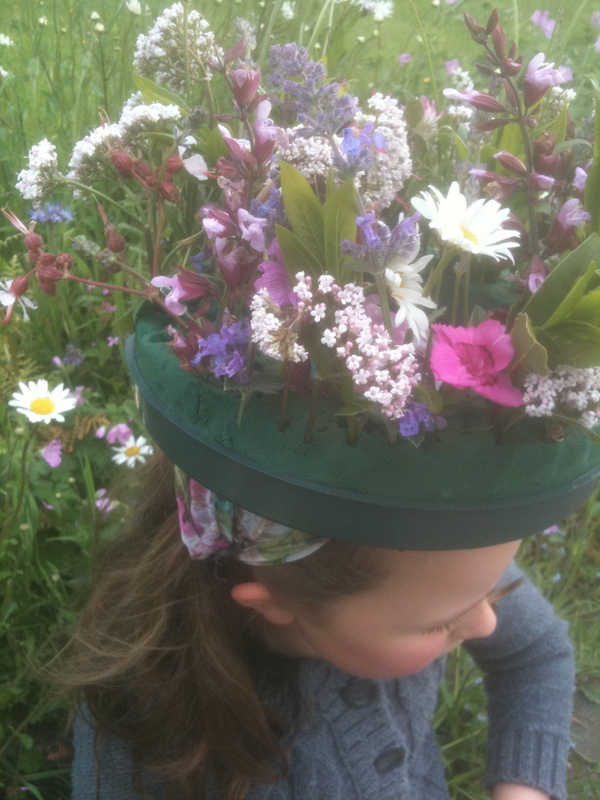 An event gathers a large group of adults and children together for the purpose of creating or developing a new community garden area composed of either Irish trees, wild plants, wildflowers or cottage garden flowers. A celebration should coincide with an environmental date (i.e. National Tree Week, Tree Day, Earth Day, Biodiversity Week, etc. ), a designated European theme for a particular year (i.e. volunteerism, intergenerational cooperation, active citizenship, etc. ), or a traditional seasonal celebration (i.e. 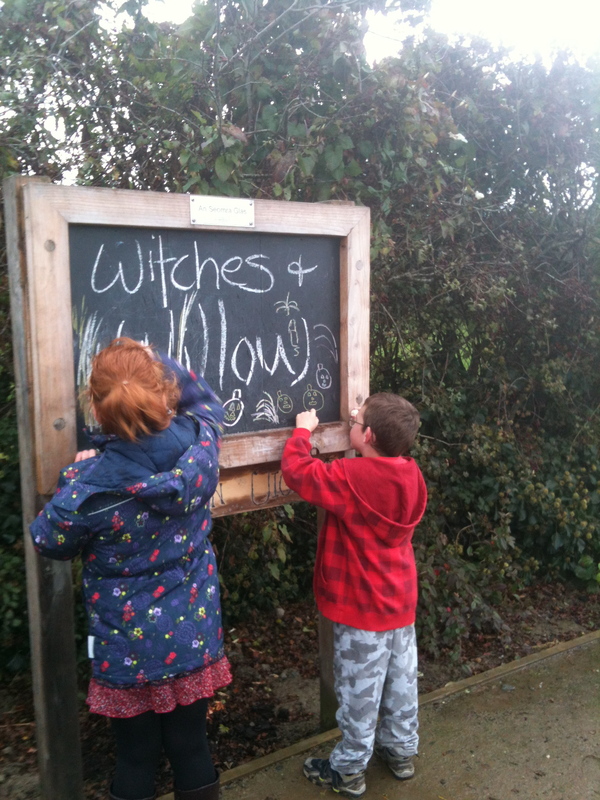 Samhain, Bealtaine, Imbolc, or Lughnasadh). Connecting to one of these themes is helpful when preparing a press release for the event. An attention seeking title for the celebration is also a good way to ‘brand’ the event, ‘tagging’ it with a theme that adults and children can connect with. A celebration is both a gathering and a work party to undertake the planting of a new garden. 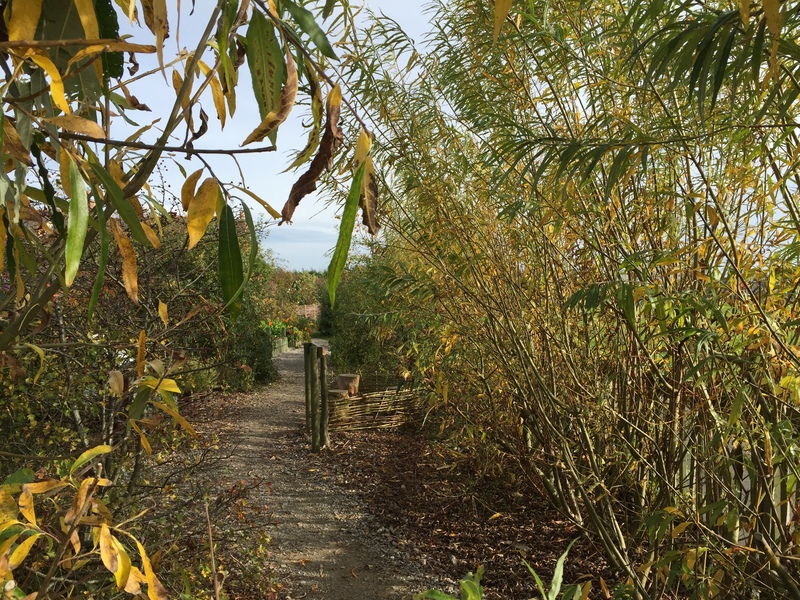 The celebration dedicates the planting of the garden to a greater environmental agenda, i.e. biodiversity. 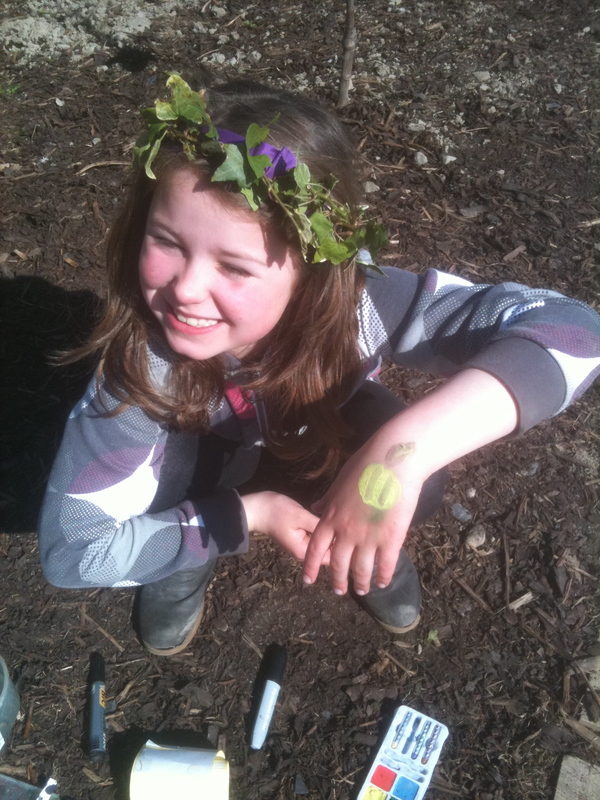 The celebration is an opportunity to engage local residents in the making of nature. 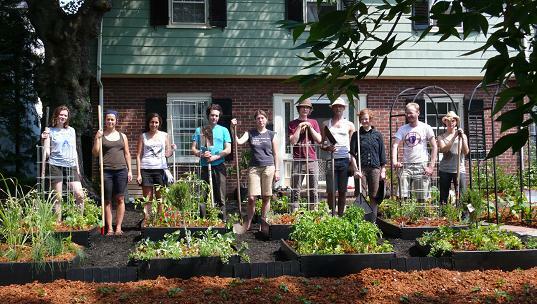 It is a learning opportunity that demonstrates methods of eco-friendly gardening. Native trees, wild plants, and wildflowers are key ingredients within the celebration, along with the application of organic liquid feeds (made from nettles and seaweed), and mulches (i.e. grass clippings, rotted leaves, compost, seaweed, etc.). Costumes, decorative displays, and crafts made from natural materials (i.e. willow wreaths, flower garlands, clay candles, painted stones, etc.) should be included in the celebration. Seasonal poems, songs, stories regarding the history of the area, are also important ingredients of the day. Refreshments and music are additional features of the event. A designated speaker should share the meaning of the day and welcome everyone to take part in the day’s proceedings. The garden should be decorated or a fire lit to mark the occasion. 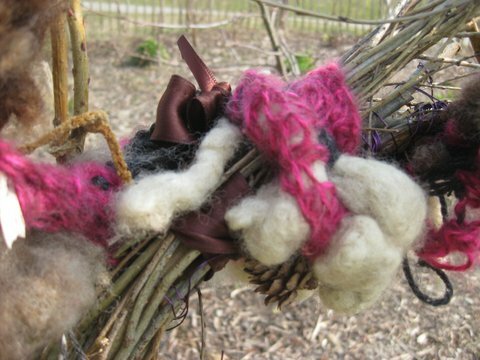 Simply giving children balls of wool will encourage them to decorate trees, and hedgerows, not unlike how special wells are adorned with pieces of cloth and thread. What is exciting about celebrations is the life they bring to neglected areas of land. It is particularly important to locate a new community garden near a playground, church, school, community centre, library, etc. where local people naturally congregate. Then the garden can be appreciated as a feature of everyday life and also nurture a source of pride for all those who created it. 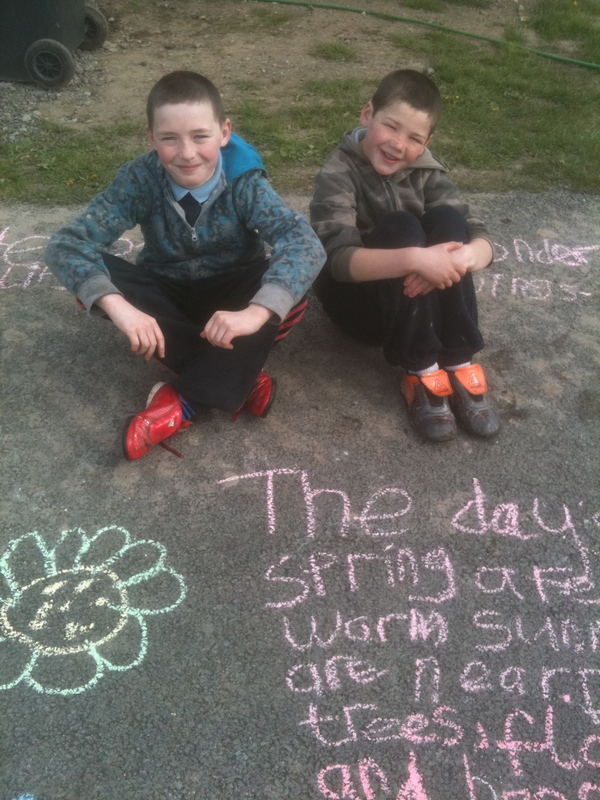 The following poem was written by Fourth Class students attending Scoil Mhuire na Trocaire, Ardee. Alone in my garden watching the wonders around me. I see the birds flying, the squirrels running and climbing. I smell the grass, fresh air and flowers. I hear the birds, the wind surrounding me and the laughing of children next door. I feel the grass at my feet, the wind blowing at my neck. The nature in my garden is my own personal wonder! 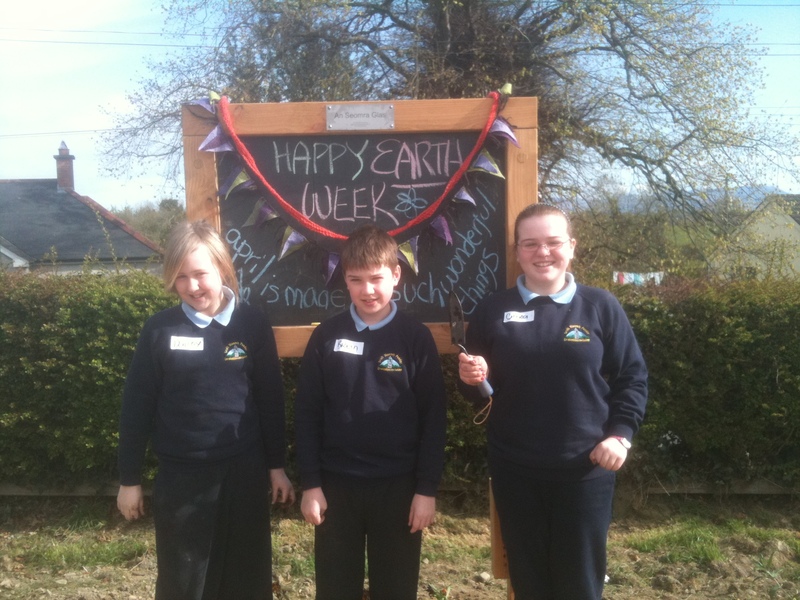 Two primary schools in County Louth, St. Peter’s National School (Dromiskin) and Scoil Mhuire na Trocaire National School (Ardee) have celebrated the traditional Irish festival of Bealtaine during the course of planting flowers for biodiversity. 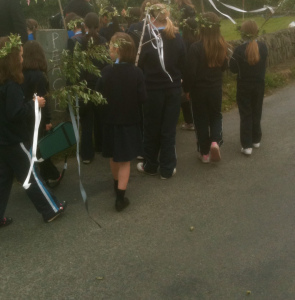 The tradition of decorating a May Bough (a branch of Rowan or Hawthorn), to bring luck to new gardens growing in Spring, has been re-enacted by students from both schools. To mark the occasion students of St. Peter’s National School planted bee and butterfly friendly flowers in their intergenerational garden and outdoor classroom. They also lighted a flying lantern to symbolise the Bealtaine Fire. This lantern was lit during lunch time, and the students hoped it would travel to Newfoundland, Canada where descendants of Irish immigrants still decorate May Branches to protect new crops and celebrate the warmth and sunlight of the growing season. In Ireland the month of May has long been celebrated to mark the start of new growth, longer days, warmth, and the return of new leaves and flowers. It is also signifies the mid-way point between the Spring Equinox in March and the Summer Solstice in June. 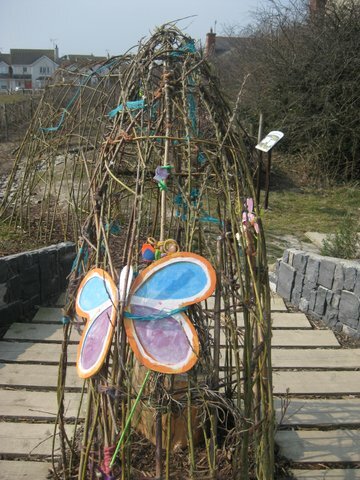 The time of Bealtaine inspires acts of caring for nature. 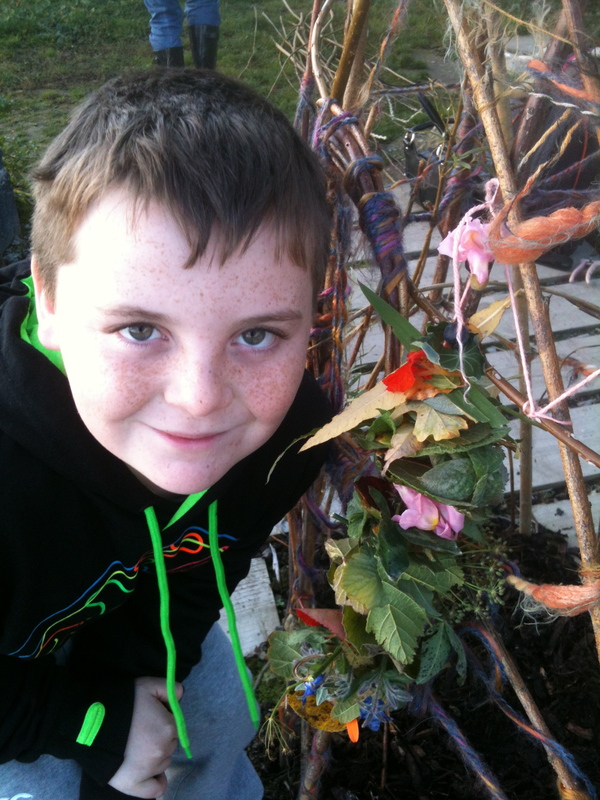 Students of Scoil Mhuire na Trocaire National School planted traditional cottage garden flowers at the Moorehall Retirement Village (Ardee, County Louth) to mark Ireland’s Bealtaine Festival, which “celebrates creativity as we age”. 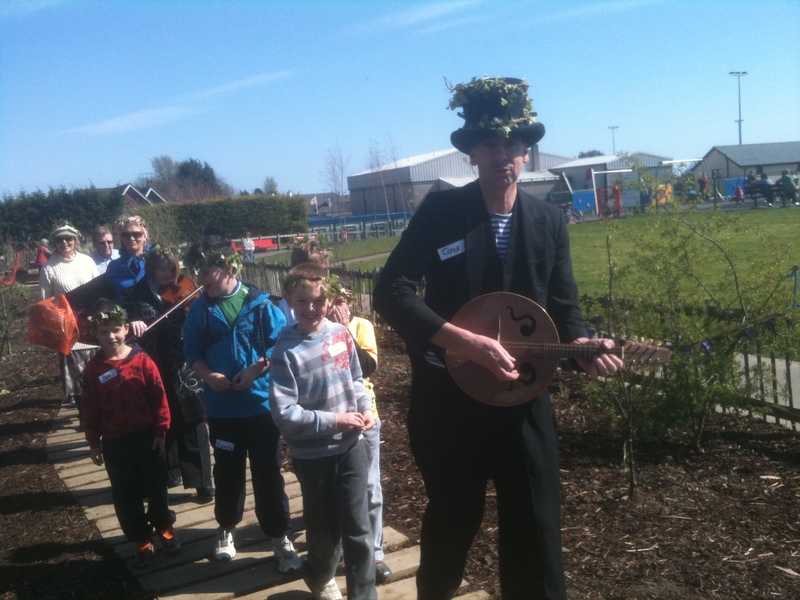 The Bealtaine Festival co-ordinated by Age and Opportunity is a national celebration of creativity which takes place during the month of May. Fourth Class students are also decorating rocks to place in the new garden, with words describing biodiversity themes, and also words which together create a feeling of sanctuary and peace. In her book, Trees of Inspiration, Christine Zucchelli has written about many traditions in Ireland, which mark the veneration of trees. Particular trees have many symbolic associations to pilgrimage and recovery. Often specific trees were closely situated near holy wells, offering cures, sanctuary and the possibility of overcoming personal challenges. Adorning these trees are pieces of fabric, or small personal tokens of appreciation, left behind to acknowledge the tree’s potential to transform maladies into well being. Leaving something of one’s self behind also honours the spirit of the place, a space in nature set aside from everyday life. A small personal offering in exchange for good health and good luck, represents how a tree may take on the afflictions of both body and mind. Certain trees were considered mediums of transformation, with their ability to absorb all kinds of troubles and offering in their place, a certain level of contentment and health. 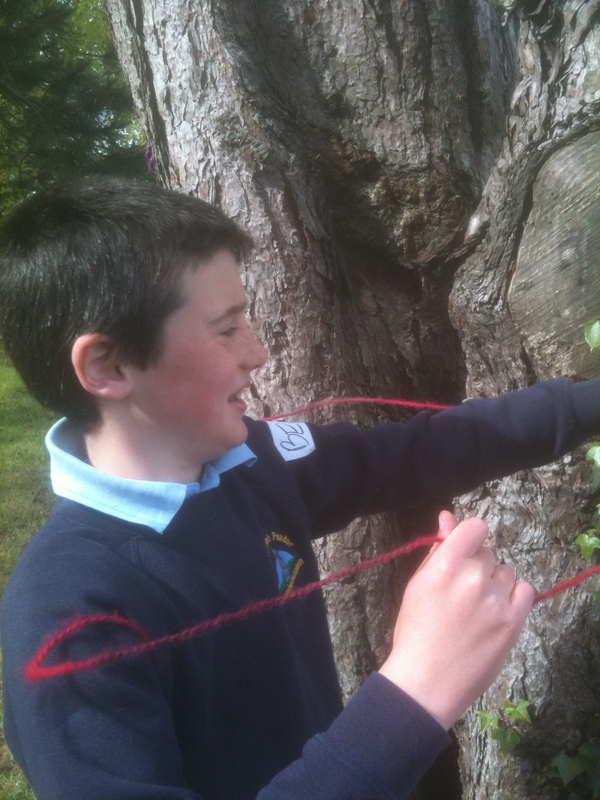 Ireland’s cultural history has a link to the reverence of trees, which offer refuge and renewal. 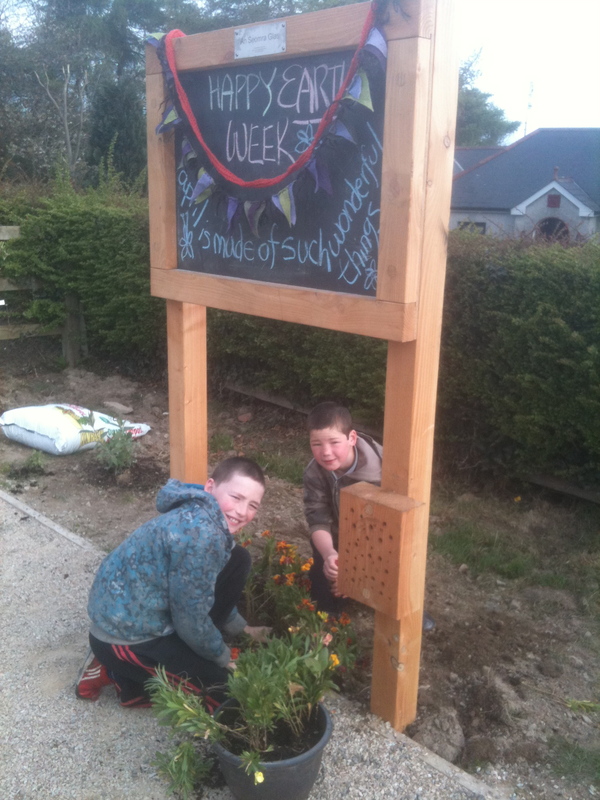 St. Peter’s National School (Dromiskin, County Louth) is making a home for bees and butterflies in the garden surrounding their outdoor classroom. 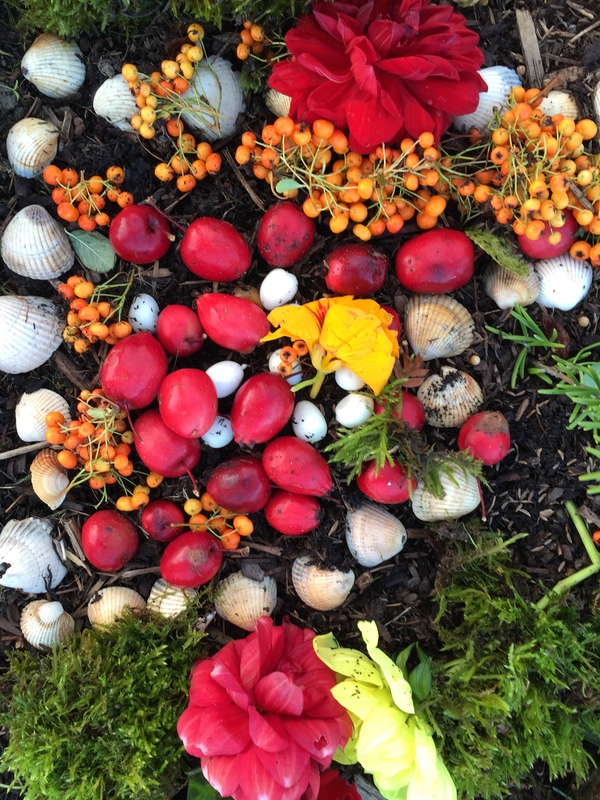 This garden is a laboratory for students to learn about biodiversity. It is a habitat for bees and butterflies, as the nectar from cottage garden flowers, flowering shrubs and wildflowers feed these vital pollinating insects. and butterflies feel at home by planting flowers in their gardens. By welcoming bees and butterflies into our gardens, we are not only propagating our heritage, but also planting for our future. 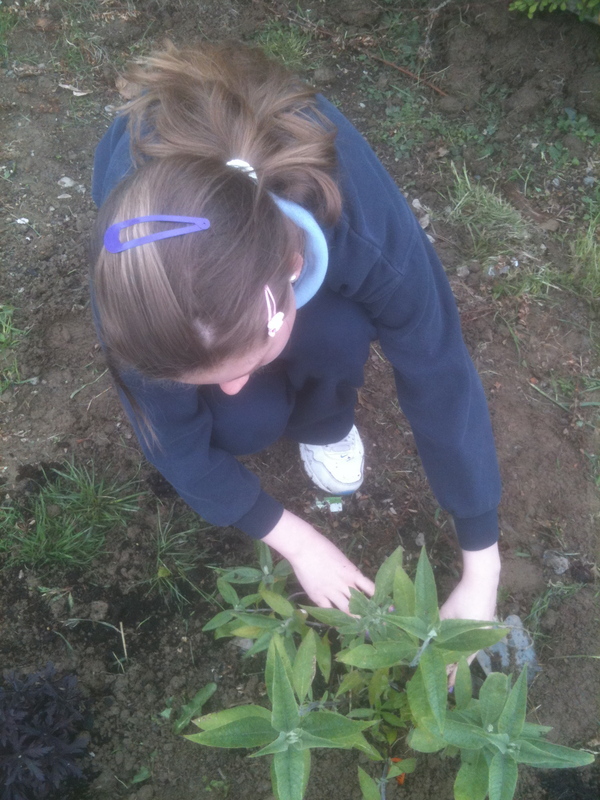 Biodiversity gardens in schools contribute to emotional fulfillment, inspiration, environmental activism, solace, creativity, language, psychological and spiritual well-being (ENFO Ireland). 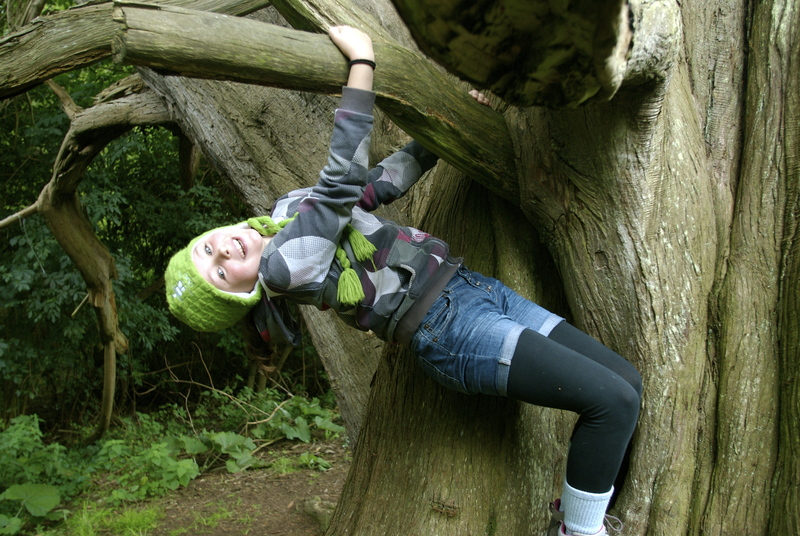 Children’s relationship with nature also enhances their concentration, conceptual understandings of the world and develops their communication skills through teamwork. Ceanothus (California Lilac), Tree Mallow, Valerian, Forsythia, Achillea (Yarrow), Tree Lupin, Viburnum, Broom, Verbena bonariensis, Spirea, Rudbeckia, Buddleia, Scabious, Sedum, Elecampane, Hollyhocks, Foxgloves, Lilacs, Nepeta (Cat Mint), Apple and Plum Trees, Asters, Chrysanthemums, Verbascum, Teasel, Rock Rose, Monkshood Flower, Purple Leaved Geraniums, Teasel, Salvia, Nasturtium,s, and Sweet Peas. 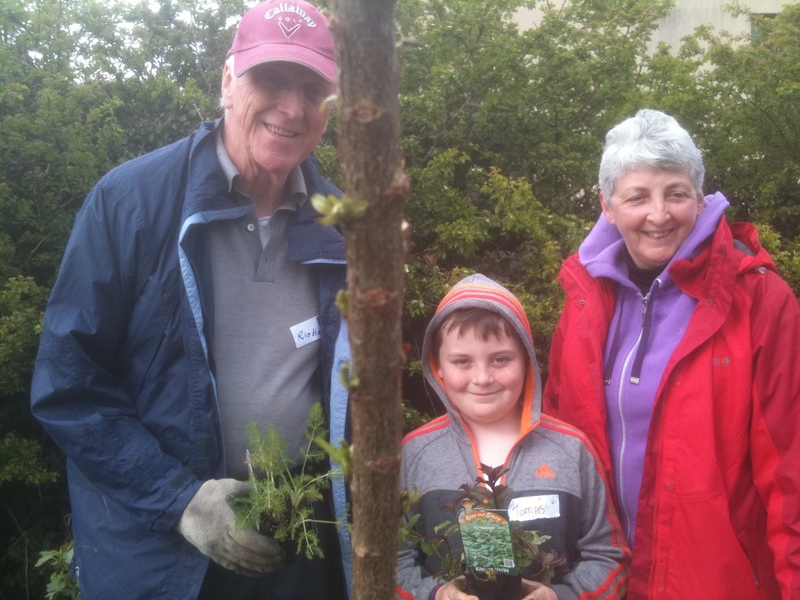 A new intergenerational garden in Blackrock, County Louth was planted to celebrate the European Year for Active Ageing and Solidarity Between Generations. 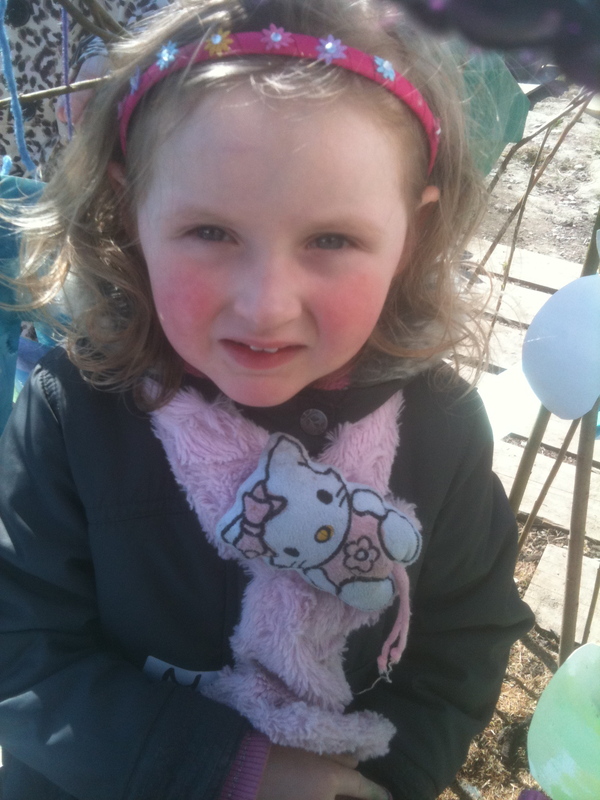 Blackrock Tidy Towns hosted a creative afternoon of family activities at Blackrock Playground which offered children the opportunity to plant a traditional flower garden, hear stories, poems and music, and make Spring kites and greeting cards. Designed by members of Blackrock Tidy Towns, the new cottage garden will create a colourful habitat for bees and butterflies. Traditional cottage garden flowers offer a rich supply of pollen and nectar, creating vital ecosystems for beneficial insects. 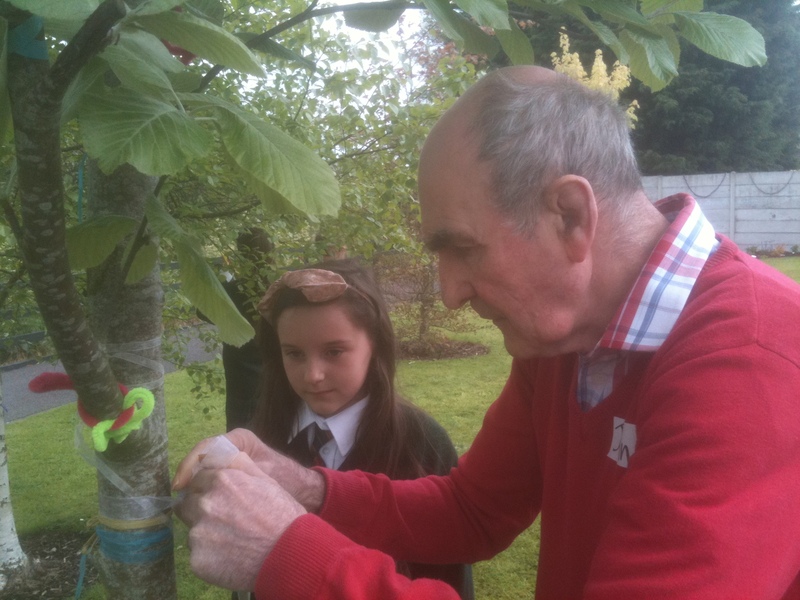 The intergenerational garden is an interactive garden, a collaboration of many ages working together. It is a place where adults and children can create a growing relationship together. 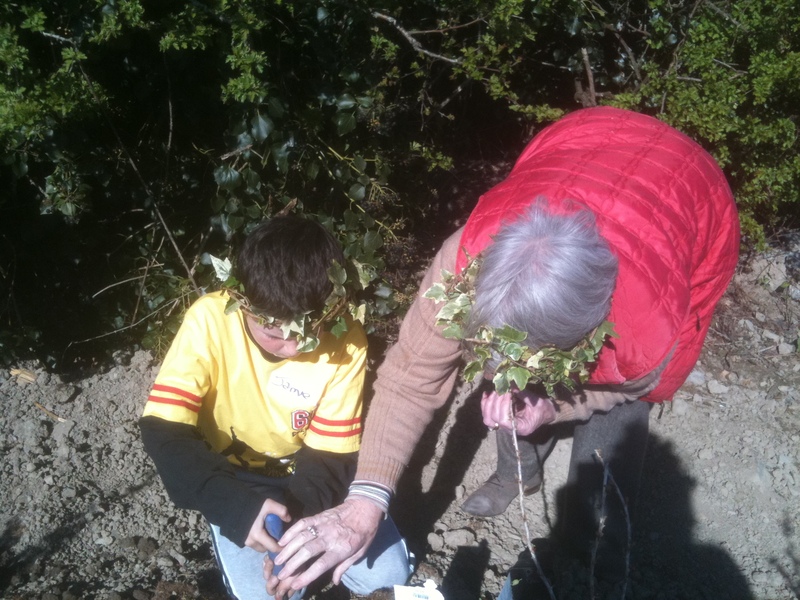 The intergenerational garden is part of a series of gardens being created in County Louth under the heading – Growing Through the Ages. This project is supported by Louth County Council Environment Section and the Department of Environment, Heritage and Local Government. 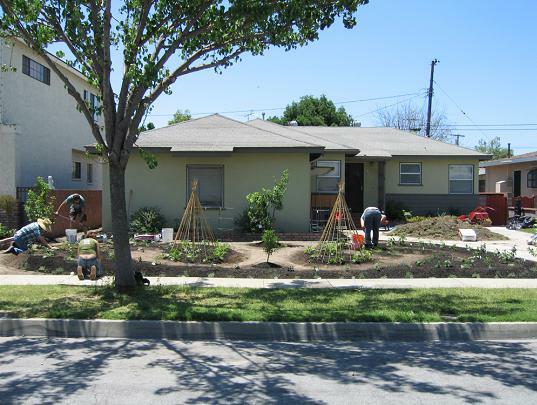 Its purpose is to promote intergenerational community gardens designed and planted by children and their elders. These gardens highlight County Louth’s role as an Age Friendly County within Ireland. Growing Through the Ages supports active ageing and community leadership by linking the valuable experience of older people with the ideas and aspirations of children.